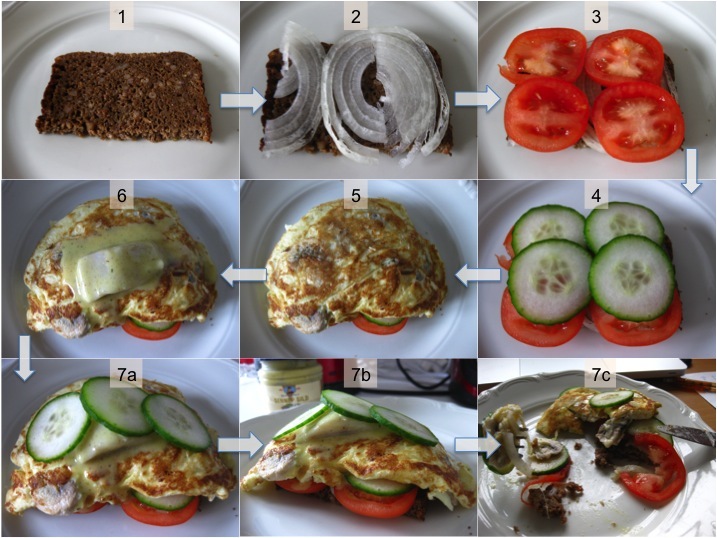 Ryebread – Cutting it too thin? I tend to be easily influenced by the people around me, that means new habits rub off quickly and without conscious awareness. Often, I don’t realize it until I receive comments like: ‘do you always eat your sandwiches open?’ – the Hawaiian wwoofer asked as he passed me the top half of a sliced-open crusty bun to complete my sandwich. 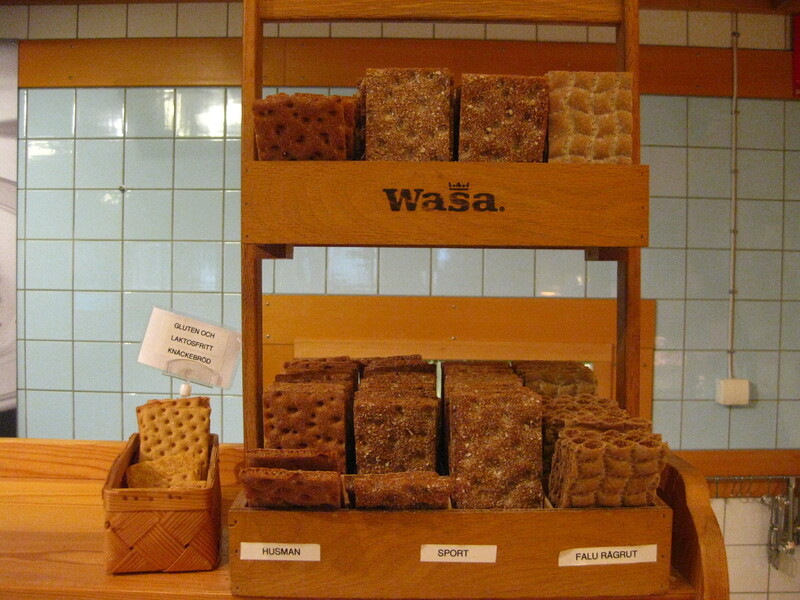 Yeah, I’ve picked up a new habit of eating dense ryebreads while living in Copenhagen for 5 months earlier this year. Rye is a cereal grain that is higher in fibre, darker in colour and stronger in flavour than wheat. It is nutritionally better than its wheat counterparts, keeping one full for longer (not to mention, more sensory satisfaction) due to its high soluble fibre content. However, because of its heat-stable amylases that break down the weak gluten content, rise of the dough is greatly inhibited, and this is partially mitigated by the use of sourdough starters to inactivate the rye amylases by creating an acidic environment. That of course, results in a sour and dense-but-not-so-dense-as-it-would-otherwise-have-been product, that is sliced thinly because of its density but threatens to crumble into ruins if you try to sandwich more than a slice of cheese between it. And then the habit of snacking on crisp rye bread (a long-shelf-life dried cracker-like bread) caught on, and I grew to love it as an alternative base for my open sandwiches–2 meals of rugbrød a day is enough. 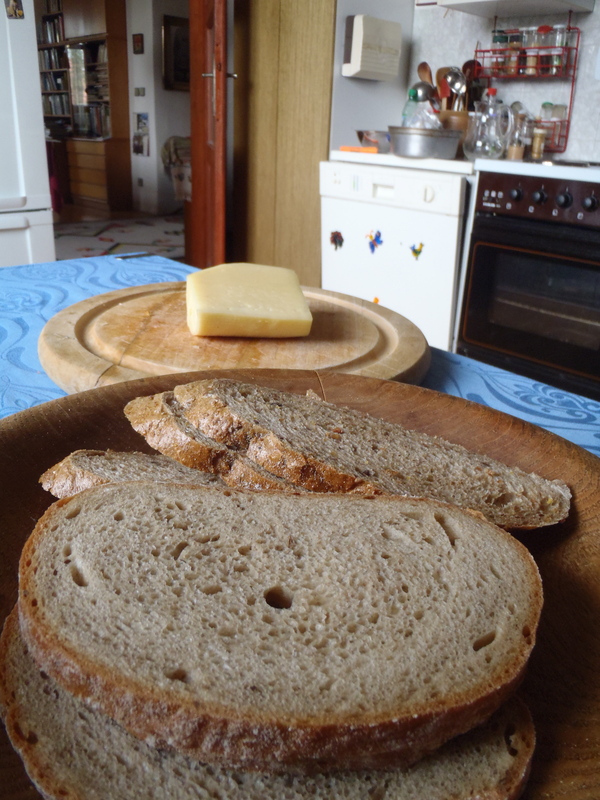 And during my recent backpacking travels through N.eastern Europe, I fell in love with the dense yet soft wheat-rye breads of Czech Republic and Poland. These breads are soft enough to be made into typical sandwiches (if you wish to), but dense enough to be sliced very thinly (<1cm) without being able to see your dining partner through it. While I once used to marvel at the thinness of these breads after being used to the thick fluffy slices all my life, the novelty has mostly worn out over the past year…. With a thickness / thinness of <4mm, the Brabants roggebrood leaves me confused whether to eat 2 slices or 6 for breakfast. With 15 slices in a loaf for 85 euro cents, a slice works out to about 25 calories and <6 cents each. I ate 2 slices with Camembert cheese (another habit I picked up from my recent travels), and I’m satisfied for now. For Now. I guess it’s a great way to fool the brain that is used to portion control by the number of slices. 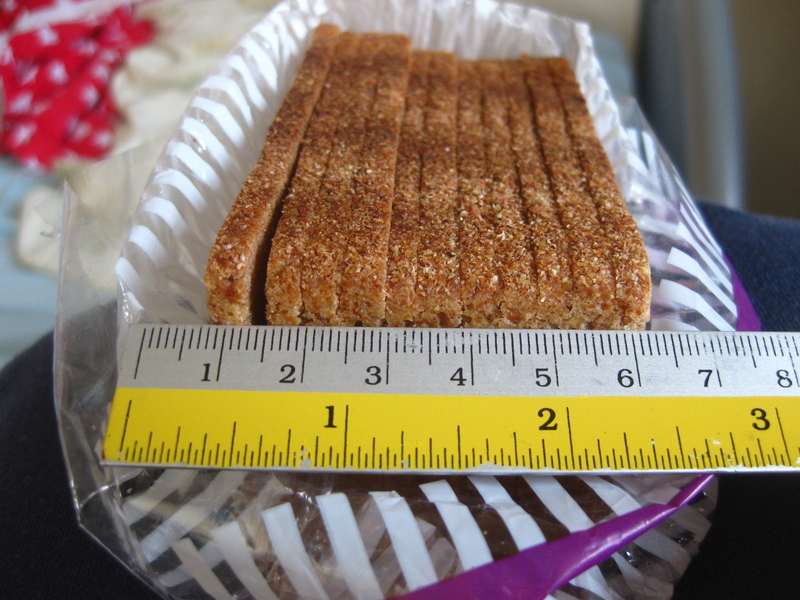 I had thought the Danish ones were thin enough at about 1cm thickness…..why cut this so thin then? (1) obsession with low carb diet? (2) to complement the delicatessen ingredients popular in the south without engulfing them in fluff? (3) value for money? 7 breakfasts for 85 cents? (4) so lunch takes up less space in the bag? “Because the Dutch don’t like the taste of ryebread.” LOL. Usually, when I travel to non-English-speaking countries, the only words of the local language I could speak would be hello, thank you, and the words on a menu. Usually, those words and a few hand gestures are more than enough to satisfy me (it gets me the food I want) and satisfy my server (who happily serves me the food I want). But after FIVE months of eating rugbrød (rye bread) sandwiches and smørrebrød (open sandwich) in Denmark, and hearing their names being pronounced a million times by a million different people….I still can’t say it right. Anyway, whatever you’re saying in your head right now, is probably not right too. The way I hear my Danish housemate say it, rugbrød sounds something remotely like ‘ROALLB-BPLOALLH’ or ‘ROW-BLOW’ pronounced with a frikadeller/fishball in each cheek; and smørrebrød uhhhh…sounds s o m e t h i n g like ‘SMOUHR-BPLOALLH‘. Even if I’m given a script of ten random words and an audio guide, I don’t think I can manage to pick out which word is rugbrød and which one is smørrebrød. I’m thankful that at least ‘Thank you’ is as easy as ‘tak’ (pronounced as it looks)…. though the response of *##$@$* that I hear from the cashier almost every other day has never ever been understood by my Asian ears. 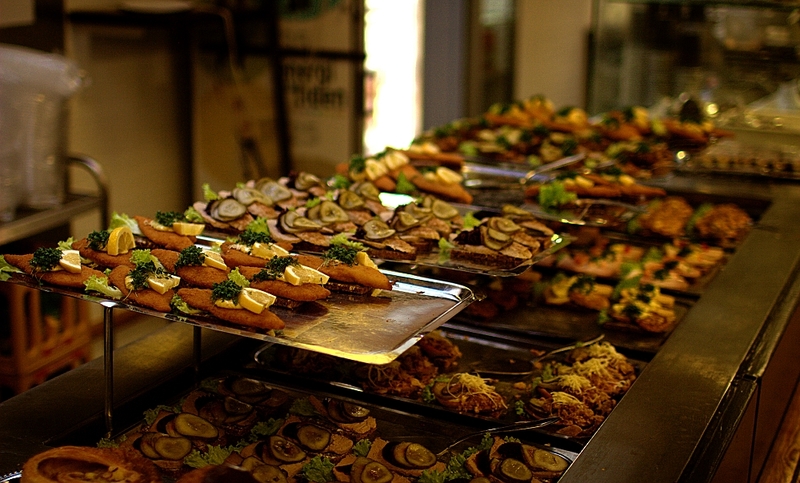 Smørrebrod is a traditional Danish open-faced sandwich that originated from the words ‘smørre og brød’ or ‘butter and bread’. 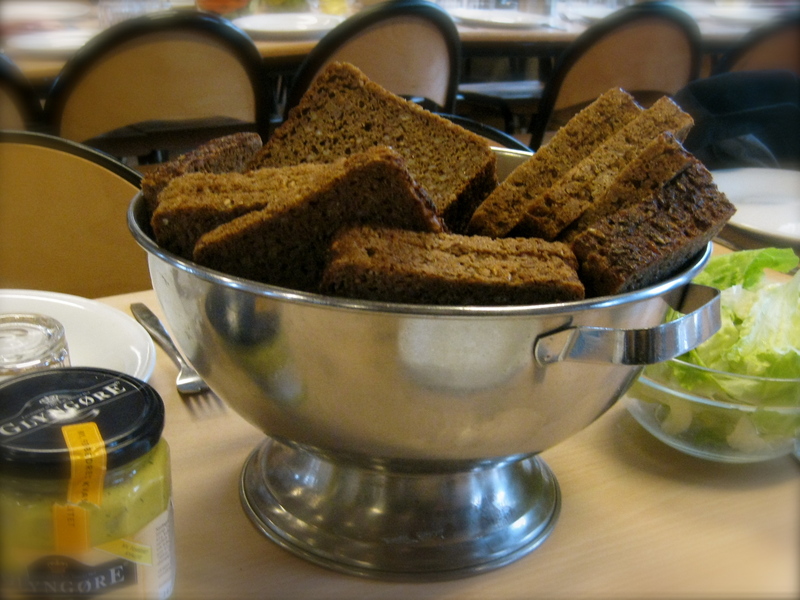 It’s usually served on rugbrød, which is a Danish dense rye bread that is as healthy as it looks (very high fibre low calorie – 9g fibre and 180kcal / 100g while keeping you full for twice as long) and definitely a lot more flavourful and moist than it looks (thin and almost-black rectangular slab of grains bounded together). Unlike most other sandwiches that are dominated by the bread, Smørrebrød features the sandwich ingredients while the rugbrød quietly supports from under with pleasing contrasts in flavours and textures. And unlike most other sandwiches that are modes of nutrient delivery, smørrebrød is a work of art, pleasing to the eye and extremely easy to impress the observer. The basic idea of smørrebrød is to TOTALLY cover the buttered rye-bread with toppings such as salad vegetables, shrimps, fish, meat, egg, cold cuts, sauces, cheese, liver paste… whatever you have in the fridge in the combination that you would like to eat them. DON’T even try to pick it up with your hands. Eat with fork and knife. 1. Cut a piece of rugbrød in half. 2.-4. Start stacking your ingredients until you can’t see the bread. 7. 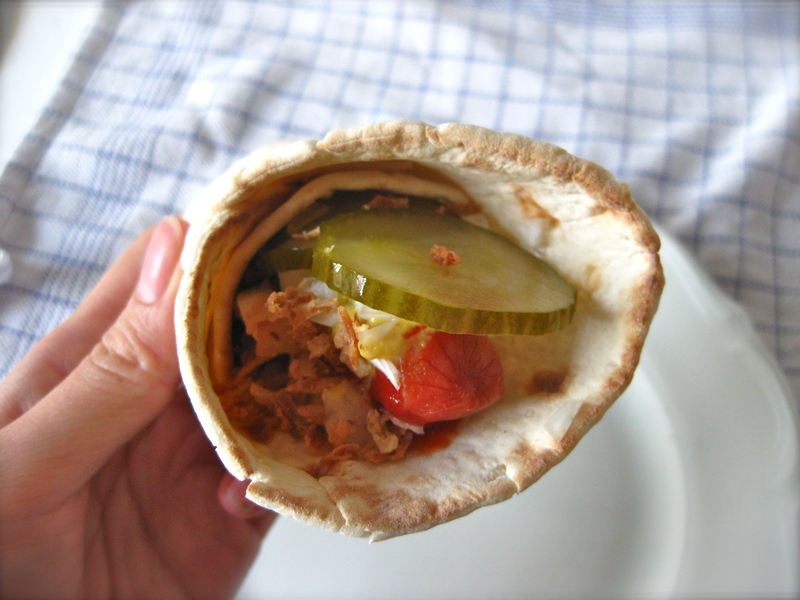 Add more ingredients until your sandwich threatens to topple…. then, DEMOLISH IT! 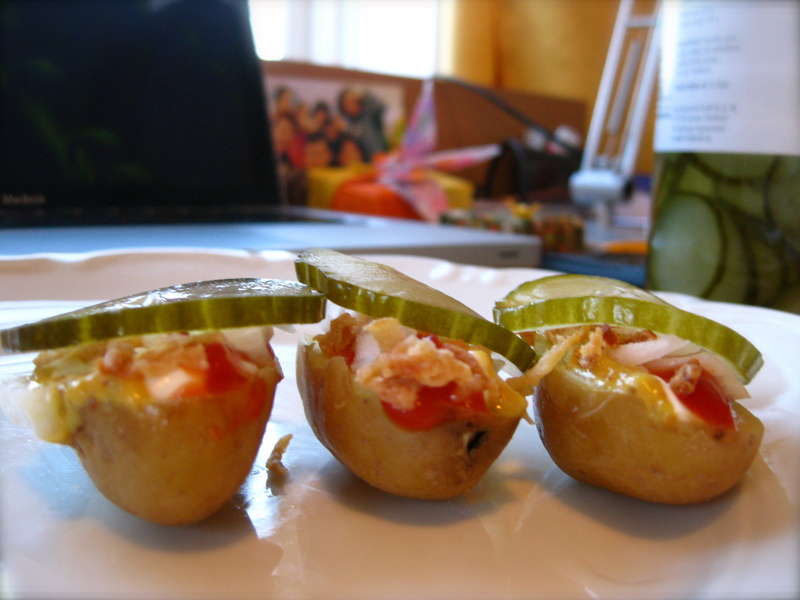 That was my version from ingredients that were available in my refrigerator at that time. 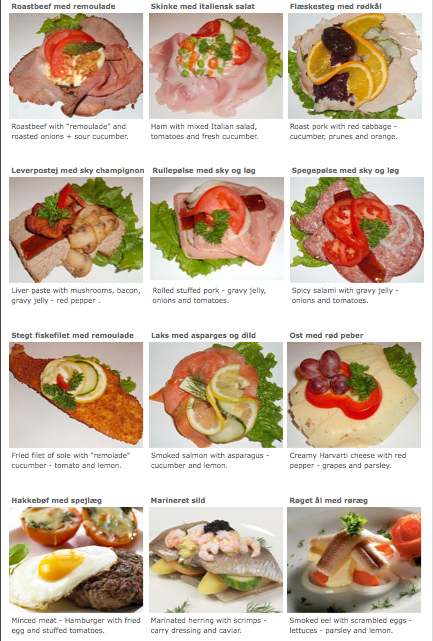 Check out these typical Danish combinations from the Danish Food Culture Website! It’s healthy, delicious, pleasing to the eye. I’ll miss you, roallb-bploallhh. I’ll miss you, smouhr-bploallh. This is one rare week that I’m absolutely certain that I have met my recommended calcium intake requirements… AND… I’m also pretty sure that any wars the ‘good’ bacteria in my colon had been fighting have been triumphant (rmb the Vitagen advertisement with the little soldiers flying through the intestines?). Ymer. Check. A38. Koldskål. Check. Check. Together with my daily gobbles of milk and ice cream, and the windfall of cheese I earned from the housemate (thanks U! ), I hereby proclaim that I’m officially done with milky stuffs for now and I’m absolutely looking forward to having some good ol’ soy milk / douhua / soy ice cream (oh Mr Bean!) in <2 weeks! Though I did enjoy these cultured milk products with fruit, raisins, muesli, lingonberry jam, soya bean agar ( I used vanilla soya milk with agar agar), crispbread crumbs, crisp cookies etc etc, I must admit that I was rather disappointed with the lack of difference between the products, and especially the lack of communication of the nature of these products that are so differently named. Is it too much to expect a different product when buying something of a different name? I mean all the sourdough breads with different cultures ARE still called, sourdough bread, aren’t they? 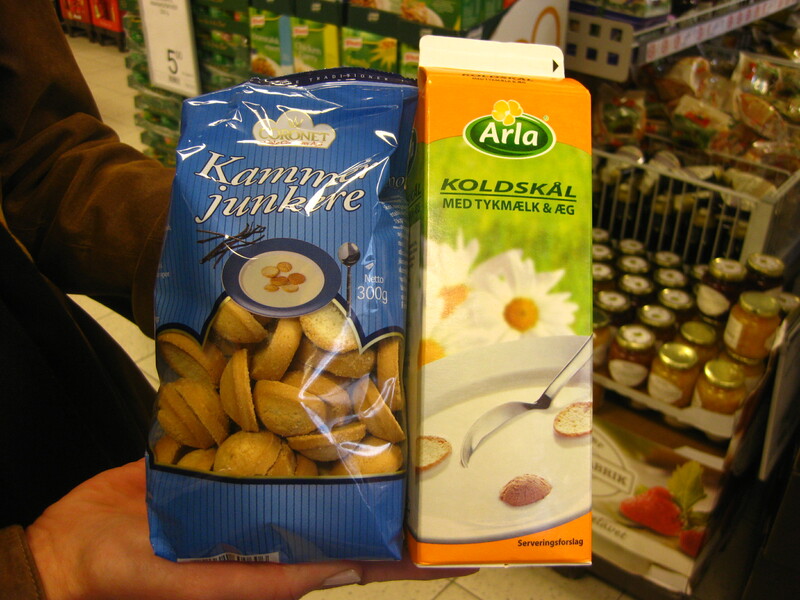 Like yoghurt, these cultured milk products have been inoculated with some species of lactic acid bacteria that ferment the lactose in the milk to produce lactic acid that lowers the pH of the product, causing the major milk proteins (casein) to coagulate and increase the viscosity of the milk. The plus points? The milk keeps longer, it suspends delicious crunchy goodies wonderfully and LAB bacteria are good for our gut. And so, if it’s Lactobacillus bulgaricus and Streptococcus thermophilus, it’s called yoghurt. If it’s not, it HAS to be called something else. Gee, those food regulations. 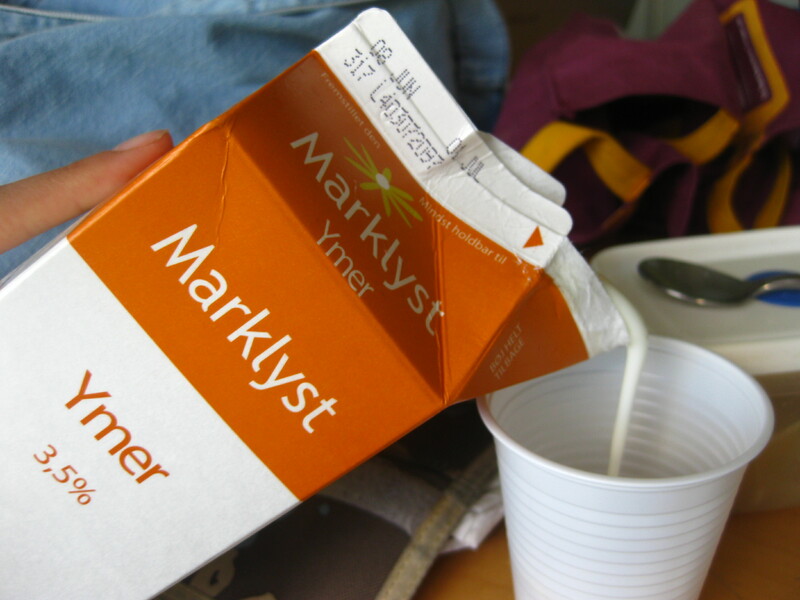 TYKMAELK is cultured with Lactococcus lactis and Leuconostoc mesenteroides. Same consistency as yoghurt, but less acidic tasting (L. bulgaricus in yoghurt causes a tarter taste), hence it tastes great consumed with less sweetening than YOGHURT. YMER is cultured with just Lactococcus lactis. 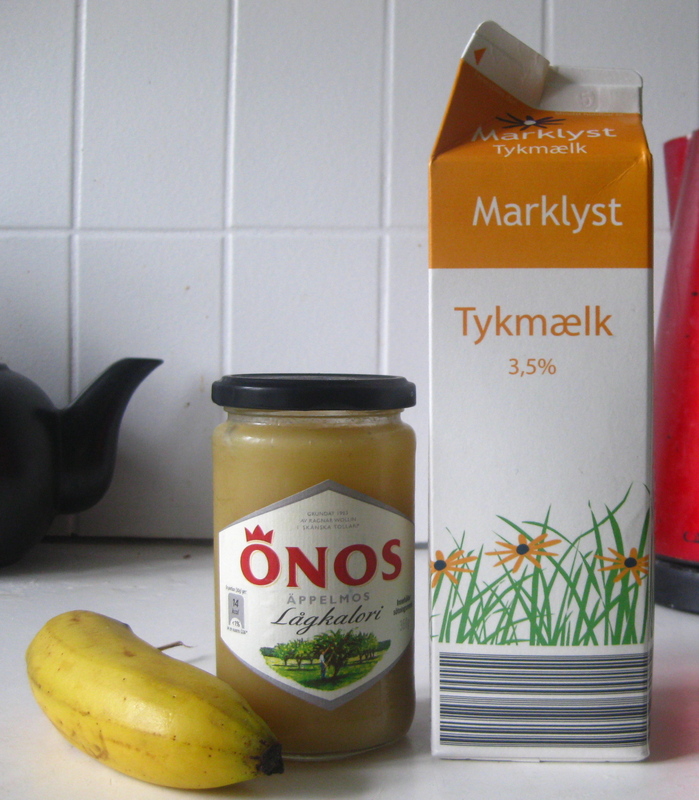 It was less thick in consistency than YOGHURT and tasted pretty much the same to me as TYKMAELK, with a little hint of buttery flavour (diacetyl!). 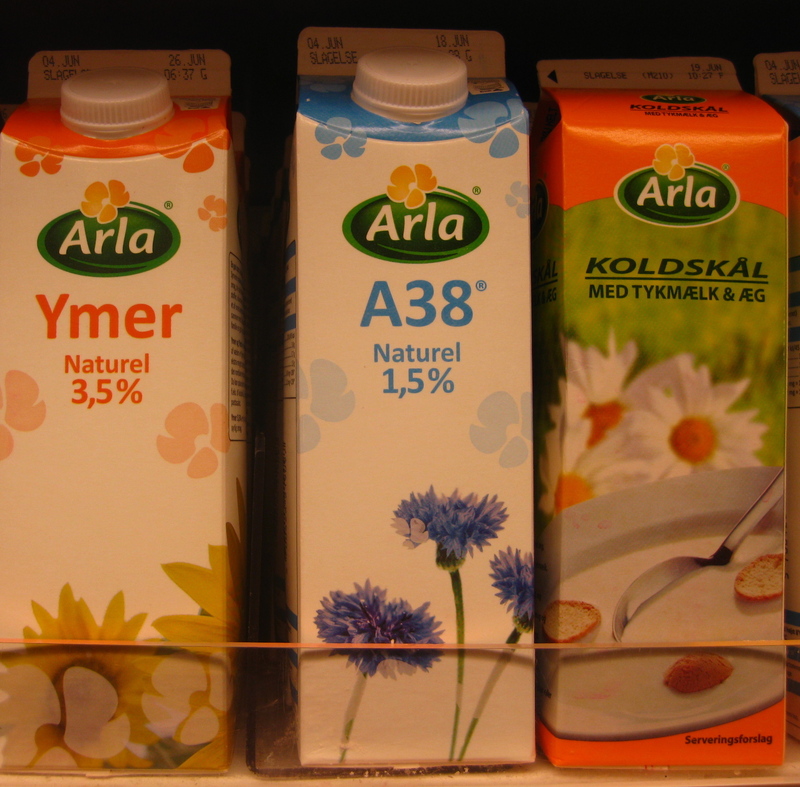 A38 is a product of Arla, which is cultured with Lactobacillus acidophilus and some other unspecified strains (oh well). 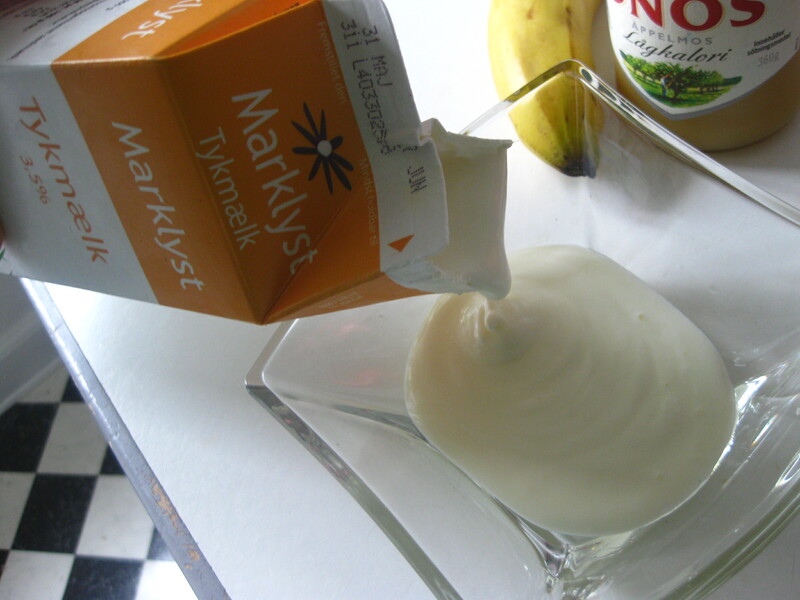 Tastes like BUTTERMILK to me, more sour than TYKMAELK and YMER, and with the consistency of YOGHURT. KOLDSKÅL is the most different from the lot, and is made with BUTTERMILK in combination with eggs, sugar, milk/cream/tykmælk, vanilla and citrus. Just like a flavoured YOGHURT DRINK, refreshing and usually enjoyed with crisp cookies a.k.a. kammerjunkers. #1: You fell in ♥ at first bite. Lower fat version with a low-fat sausage and a toasted multi-grain wholemeal baguette with the same ingredient combinations. 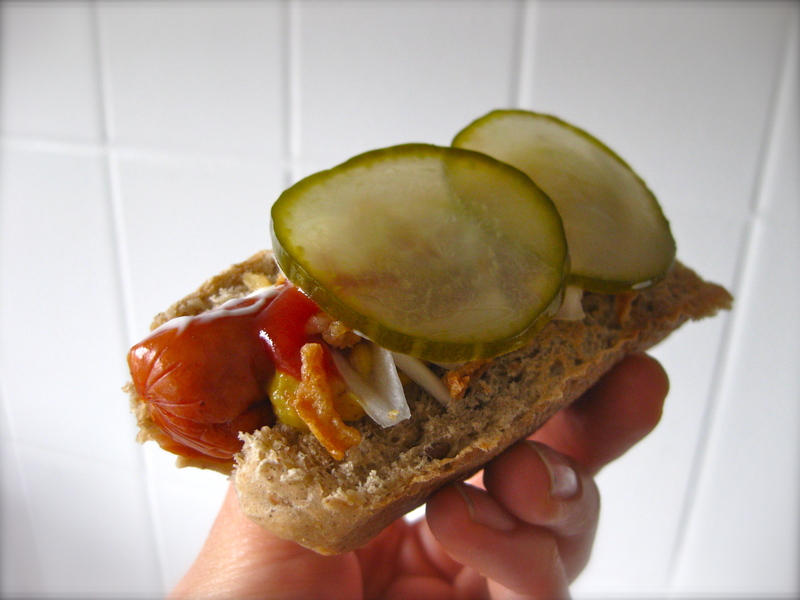 Same ingredients but in a Swedish mjukt tunnbröd with the softness of a hotdog bun and the goodness of rye. The same toppings but on boiled potatoes (with the skin on). The crisp bite of the skin perfectly simulates the burst when biting through the skin of a roasted sausage, while the soft bland interior of the potato contrasts nicely with the flavourful and crunchy toppings. 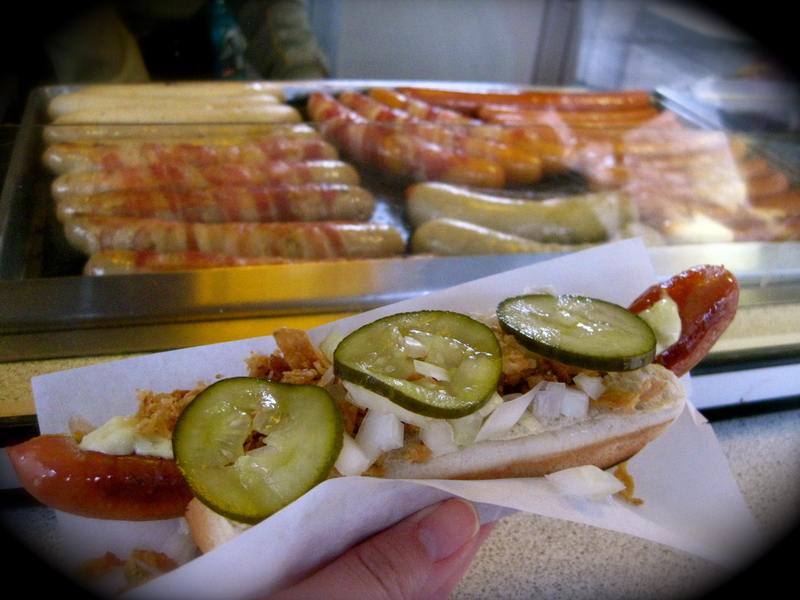 Oh divine-licious ristet hotdog, why have I only set my eyes upon you today? 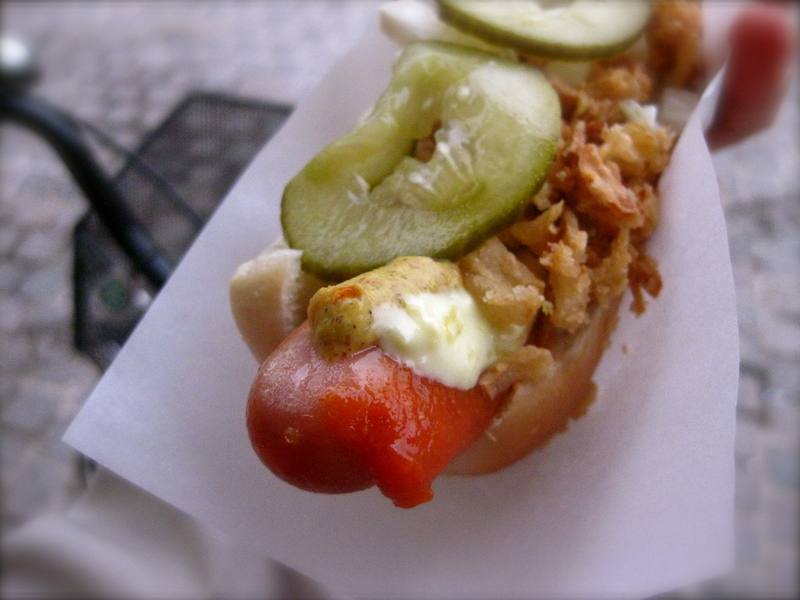 For 25kr (SGD$6.30), this delicate hotdog packs a punch without making you feeling like you’ve gained a paunch. Gnomm gnomm gnomm! 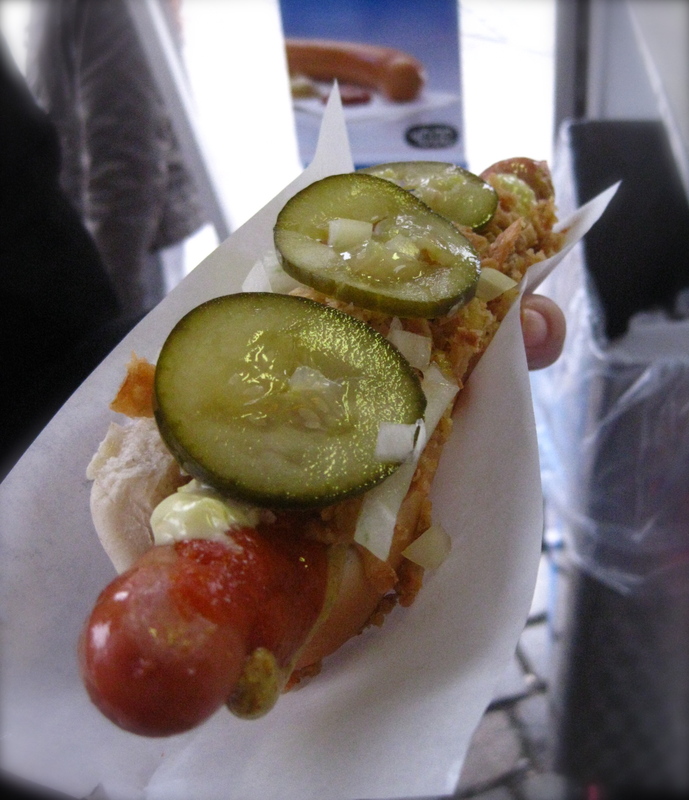 Good news is that these pølsevogn can be found in almost any corner of downtown Copenhagen, but if you’re a student counting in cents, you might want to grab a bag of these foot-long pølser from the Fakta supermarket and organise your own hotdog party! Sauce tip: straight lines, no zigzag for the perfect balance of flavours!